www.PieterBruegel.org is an unofficial website for Flemish artist Pieter Bruegel. 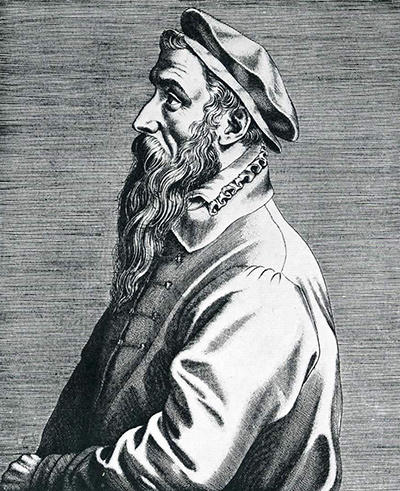 Pieter Bruegel the Elder and Younger were skilled artists who spearheaded the Bruegel family art dynasty which included several other additional members of their wealthy family who produced a long history of contributions to Dutch art, which is still very much remembered today many centuries later. This website covers the careers of both father and son, featuring the finest paintings from both influential careers as well as discussing their contributions in detail. The Bruegels are somtimes spelt as Brueghel for other languages and there was also Jan the Elder and Jan the Younger who also contributed to this impressively successful family. Pieter Bruegel the Elder was the more talented artist who brought a creativity into Dutch art at that time which was very much needed. The majority of famous paintings from the Bruegel dynasty are therefore from Pieter the Elder and this is reflected by the choice of painting images shown within this website. Jan the Elder and Younger plus Pieter's son The Younger also did produce some impressive works too though that justify their reputation within the family. You can also find a huge gallery of paintings by both Pieter Bruegel the Elder and Younger in this website. Hunters in the Snow is perhaps the best known painting from the Bruegel family, and features a charming winter scene that has proven very popular with the art public of the modern era who regularly choose it as a fine art print or poster reproduction and find it suits most styles of home thanks to it's neutral winter colours. Both Bruegels enjoyed producing landscape paintings and would typically feature large numbers of people within them, normally going about their everyday business which is a style than has proved very popular. The winter scene helps Hunters in the Snow to stand out from their other landscape paintings. The content has clear similarities with that of fellow Flemish artist Hieronymus Bosch. Further notable artists from the Northern Renaissance and Dutch Golden Age include Rembrandt van Rijn, Albrecht Durer, Jan Vermeer and Jan van Eyck. Famous Italian names such as Michelangelo, Da Vinci, Raphael, Sandro Botticello and Caravaggio would have been significant inspiration to the later Dutch artists. A careful inspection of Hunters in the Snow reveals great detail across the background landscape which features mountains strutting out of the scenery plus frozen lanes serving as makeshift ice rinks. There is also significant numbers of buildings dotted around the scene which are covered almost completely in snow but can still be distinguished from their natural surroundings. In the foreground are hunters at the top of the hill as threy start their day's work and this is obviously the main focus of the painting. The great detail across Hunters in the Snow makes it an excellent choice for those buying extra large print reproductions, where this detail can really be appreciated. Fall of Icarus is another classic landscape from the Bruegel family which features two docked ships lining a colourful background which sits behind the key focus of the painting which is a man making his way along a hilly pathway with his accompanying horse. The painting gives a great feeling of distance and depth with the landscape itself also featuring stylish blues and a charming use of lighting. The Bruegels were crucial artists in promoting the skills involved with landscape painting at a time when it was still to be fully accepted into the art mainstream and academics were yet to see it in the same light as traditional religious and portrait works. Brueghel the Elder has always been accepted as the more talented artist of the two Pieters and many have accused his son of travelling on the back of his father's achievements without having offered any great innovation himself. For someome who wanted to follow a similar style to that of his father it would always be difficult for the Younger to be accepted in the same way but his career can still also be considered very much a success and he used his opportunities to make great financial gains throughout his own life, which his father would surely have approved of. Tower of Babel is a relgious topic which attracts many to the careers of the Bruegel set of artists. Many believe this painting to be the best depiction of the well known Tower of Babel and this has helped to keep it as a significant work within their overall careers. The main aesthetic beauty of this painting is the detail offered upon both the tower but also the surroundings imaginary cityscape. There is also a skillful use of lighting which adds to the impression of depth and size to the tower and it's imposing pose over the surrounding people. The magic of this topic is expertly captured by the artist and it makes an excellent visual representation of the concept of the Tower of Babel. Peasant's Dance again offers up the Bruegel's preferred method of putting lively depictions of the lives of the poorest people into their paintings. They would always be of relatively local scenes as they would not travel far for their art and Peasant's Dance features greater detail than many of the others with the foreground taking almost all the focus of the painting with a fewer number of people included within this one. It is a good alternative to some of the Bruegel's other works as the larger figures here offer opportunities for the artist to include facial expressions and a greater amount of visual information on the lives of these people which makes for a highly intriguing painting. Triumph of Death features an apocalyptic scene which is immediately shocking and displays a far darker, more negative landscape painting than was common for any of the Brueghel family's group of painters. It is interesting to see these artists taking a new approach having stuck to more positive depictions throughout the rest of their careers. It is indeed hard to find other traditional styles such as portraits or even self-portraits which makes their work consistent and immediately recognisable. Triumph of Death is an impressive work despite it's negative outlook and would have taken the artist a long time to construct all this imaginative detail stretching right across the foreground and relatively complex background scene. Wedding Dance captures peasant life perfectly with a friendly but manic scene spread across this particular canvas. The reds used by the artist really stand out against an otherwise dark background. The seemingly random nature of the celebrations help to get across an impression of great excitement and fun, certainly without the usual pompesity of others who lived around this traditional time. The painting suggests that the artist himself was enjoying the atmosphere at the time and this is likely when considering how many times he covered these types of situations across his career. Children's Games is another detailed landscape painting featuring incredible numbers of animated characters covering the full width of this large canvas. Sometimes in Bruegel paintings it can be hard to work out the intended focus of the painting with so much activity going on across the background as well as the foreground. Artists will normally keep backgrounds reasonably neutral to help lead the viewer's eyes to their message or central object but the Bruegels would often simply offer up a canvas detailed right across and allow the viewer to peruse all of the detail at their leisure, allowing a high level of longevity to exist in paintings of this style. Census at Bethlehem offers up another wintery scene as Hunters in the Snow had also done so famously. Such seasonal paintings are always exceptionally popular with snow itself always offering an artist new challenges with brushwork but also new rewards with a different finish completed. Followers of art in the modern era will find paintings such as these charming because of their inclusion of such items as the skating workers making their way across the frozen lake plus also the old style architecture and transport and machinery. Dutch Proverbs is another Bruegel classic featuring extraordinary action right across the painting with all sorts of people involved in separate activities. Again, it is predominantly peasants who are strewn across the work and it also features the common colour schemes with a certain tone of blue which can be found across most of Bruegel the Elder and Younger's skies. Peasant Wedding is a Bruegel painting which underlines how this family was closely tied to the poorer sections of society at a time when historically artists had been more interested in the rich and famous whose portraits would be far grander and typically large commissions would be forthcoming. The decision to include and indeed concentrate solely on poor people in many of their paintings indicates how financial gain was not the only driver to these painters who were interested in depicting normal life for the common people of their country. This certainly adds integrity to the careers of Pieter the Younger and Elder and can be compared to compatriot Van Gogh who did the same in paintings such as The Potato Eaters. The images featured above are the best known paintings from the careers of the Bruegels but further works are included below. First is a comprehensive list of the art works from the careers of each painter to provide a comprehensive guide to those looking to see as much of their careers as possible. Disclaimer: PieterBruegel.org is a personal website covering the career of famous Dutch painter Pieter Bruegel, but is in no way an official website for Pieter Bruegel and PieterBruegel.org does not claim to be that in any way. The Estate of Pieter Bruegel and their presence hold all necessary copyrights and licences for all of his paintings and other works. All prints, paintings and photos included in PieterBruegel.org are provided as an affiliate to Art.com who hold necessary permissions. Art.com pay us small commissions based on any prints or paintings that you buy as a result of using this website.